Welcome to a vast wealth of buffalo-related information! Because there is so much to learn about bison (aka buffalo), we consider every one of us at BFC to be ongoing students of these magnificent creatures. We are glad you want to learn more, too! As you might know, BFC is a unique and lasting “field campaign,” but we also take the battle to protect buffalo into the courts and legislative arenas. The buffalo information below has been collected by our staff, volunteers, supporters, and defenders, and much of it has been used to help BFC preserve and protect the last wild herds of bison. Through the valuable information linked below, you have access to 20 years’ worth of our collected buffalo educational materials. We proudly offer you these bison resources and sources for your learning. We ask only that you give proper credit and citations to the original authors...and if you are writing a professional or college-level paper and you mention BFC, please send us a copy! This knowledge is our gift to you, offered as tribute to the buffalo. Before you embark on your studies, it would be great if you would take one moment to give back to the buffalo by taking action to help the buffalo get protection under the Endangered Species Act. Thank you! Bibliography: Here you will find a long list of buffalo books and writings of all kinds. Glossary: Here we offer you an ever growing list of bison related definitions vocabulary. 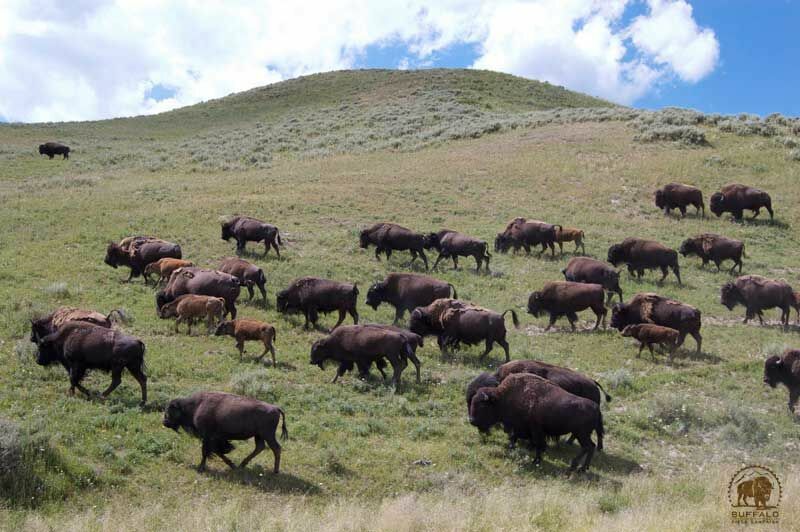 Research Papers on American Bison, Wildlife Management, and Disease Control: Here we offer an assortment of buffalo research papers for you to learn from. Bison Conservation Papers: A large collection of articles, briefings, papers, and useful information about bison protection and conservation. We hope these materials have added to your educational experience. Now, will you help us educate other by making your own donation today? A donation of any size—even the cost of a cup of coffee—will help these magnificent creatures survive!